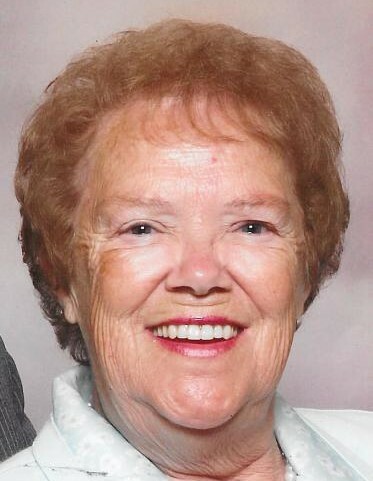 Obituary for Janice F. Reece | Kaniewski Funeral Homes, Inc.
Janice F. Reece, 79, passed away Thursday, January 31, 2019 at the South Bend Center for Hospice after a long time illness. Janice was born November 30, 1939 in Earlington, KY to Robert and Bonnie Beeny. Her mother and father preceded her in death. On July 4, 1959, Janice married the love of her life, Walter Reece who preceded her in death after 57 years of marriage. Janice is survived by her daughter, Deborah F. Reece, her son, Jeffrey D. Reece, her grandson, Tyler J. Reece; sister, Cheri Thomas and brother, Greg Rice, and several nieces and nephews. Janice was a loving mother and wife whose family always came first. She worked part-time after her children were older at Target, G.L. Perry and Yeager's (Gurley-Leep) until her health forced her to quit. Janice loved to garage sale with Walter, and go camping, and watching her grandson's baseball games. She also loved crocheting and sewing. Visitation is 4 -7 pm, Monday, February 4, 2019 at Kaniewski Funeral Home, 3545 N. Bendix Drive, South Bend. The Funeral Ceremony is at 3 pm, Tuesday, February 5, 2019 at Kaniewski Funeral Home. Burial will follow at Mount Pleasant Cemetery. To send online condolences, please visit kaniewski.com.